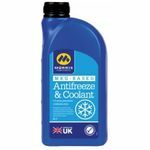 Designed to dissolve oil and grease on contact which is then suspended within the gel until washed away with water, leaving the hands clean and fresh every time. 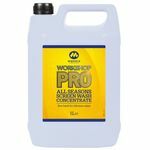 Ideal for use in heavy duty hand cleaning application. A mild neutral liquid soap. Produced from a blend of specially selected detergents incorporating a hint of chamomile perfume. Pink Pearl will compliment any washroom area. Multi-System Central Hydraulic Fluid is an advanced synthetic formulation for use in applications and vehicle systems that require the use of CHF 11S and CHF 202 fluids, both of which are registered trade marks of Deutsche Pentosin-Werke GmbH. This product may also be used in all applications that require the use of LHM Plus fluid. 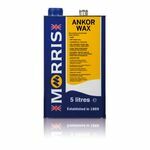 A solvent free product to remove oil & grease from hands quickly and effectively by breaking down surface grit and emulsifying soiling from the skin. 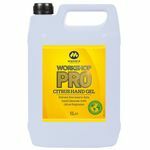 Morris Workshop Pro Citrus Hand Gel is a powerful heavy-duty hand cleanser containing non environment polluting micro-particles for the effective removal of ingrained dirt, grease and grime. Free from petroleum derived solvents but designed to outperform traditional solvent based hand cleansers. 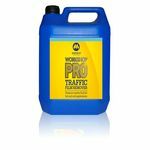 Workshop ProTraffic Film Remover is a unique combination of surface active agents, sequestrants and alkaline builders with the following features. Effective at higher dilutions. Easily and gently removes road dirt and grime. 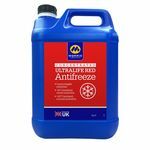 Ideal for hot or cold pressure wash machines. Effective in hard and soft waters. Contains rinse off additive. Biodegradable. Dyed blue for product identification. Safe on paint work, metal surfaces, glass and rubber. Does not contain ingredients which accelerate metal corrosion. Morris Brake Fluid is made from high molecular weight polyalkylene glycol ethers and polyalkylene glycol ether borates, to give a high boiling point fluid of DOT 4 quality. 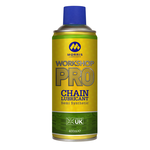 Workshop Pro Semi-synthetic Chain Lubricant is a specially formulated aerosol designed for the protection of chains used in a variety of applications. Workshop Pro Solvent Degreaser is a ready for use, pink coloured emulsifiable fluid, manufactured from a highly refined hydrocarbon solvent and a non-ionic surfactant. 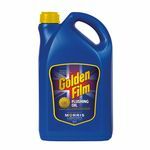 It was originally developed for rapid de-waxing of car bodies. Workshop Pro Surface Conditioner is a special blend of silicone, solvents and cleaners. 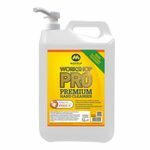 It has been designed as a multipurpose product that cleans, restores and protects surfaces at the same time. Workshop PRO Anti-Seize is a lead and CFC free compound, made from solvent refined oil, Bentonite thickener and fine copper powder. The product is highly recommended as a thread lubricant on the external parts of all racing motorcycles, where rapid and trouble free disassembly by pit crews is a competitive essential. 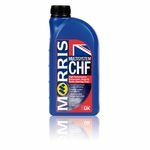 A complex mixture of hydrocarbon and oxygenated solvents designed to clean and degrease all flat and irregular surfaces.